Have Fun With Lasers at The Family Fun Center! Who doesn’t love laser tag? At Family Fun Center located in Lakeland Florida, we know we sure do! 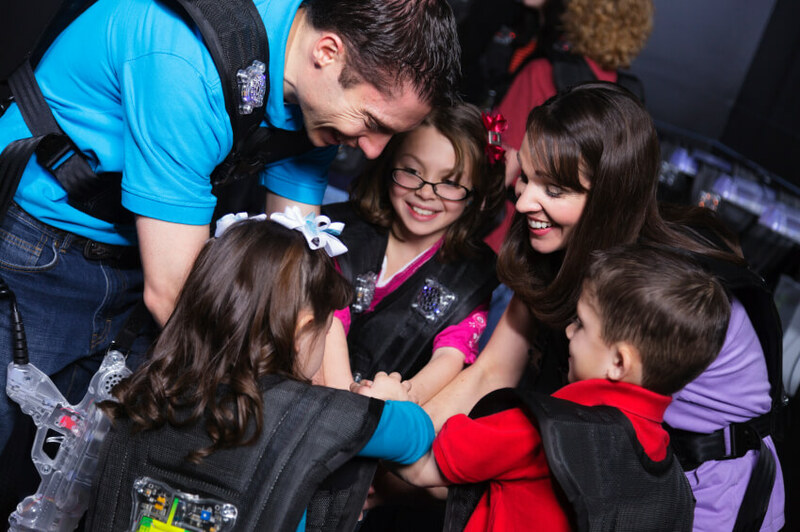 Laser tag was invented in 1984 and is now a beloved favorite found in many Family Fun Centers across the globe. It got us thinking though, how could we make an awesome game even more awesome? Was it possible? Well, we think we found a way with our Vault Assault and Beam Buster games! The point of the game is simple enough. You must get to your mission objective as quickly as possible without breaking any of the lasers. While it may seem simple, this course is challenging in the best way. It will take planning, skill, and balance to maneuver your way through the labyrinth of laser beams and to do so quickly is a challenge only the most skilled can complete with accuracy. The best part about our newest attraction is you can pretend to be whomever you want: a ninja, a spy, James Bond himself, the options are endless! Directly opposite the objective of the Vault Assault is the Beam Buster game! The point of this game is to break as many lasers as you can as quickly as you can. In this variation, ALL of the lasers will be on, and while it takes some strategy, this variation is fun for people of all skill sets. Whichever game you choose, it is sure to be a great time! Planning your child’s birthday party? Many of our birthday party packages include both of these as options, so you cannot lose!